For Wilkes-Barre/Scranton Penguins defenseman Joey Mormina, the “Movember” campaign is personal. His father-in-law was diagnosed with prostate cancer and was able to overcome the disease. Now, the veteran defenseman wants to raise awareness, and several of his Penguins teammates and members of the fanbase are joining him. For the second straight November, Mormina, a fourth-year member of the Penguins, is growing a mustache throughout the month. 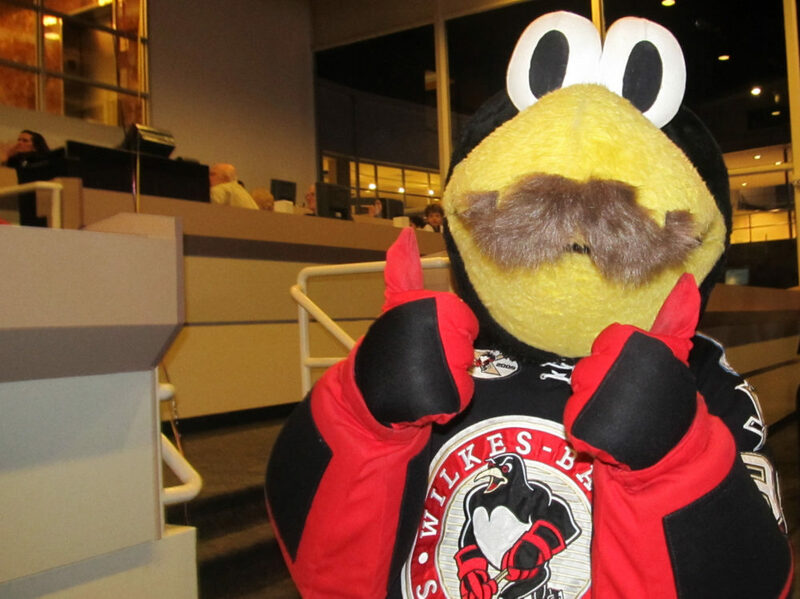 He submits daily photos of his progress to the Penguins, and the pictures are posted on the Pens’ Facebook page and a special Movember Pinterest board. The Pens have also set up a PayPal page where fans can make donations and win prizes based on certain donation levels. For example, fans who donate $10 get an autographed lineup card, while anyone who donates $250 will get lunch with a friend and Mormina. The campaign will culminate on November 24 during the Penguins’ home game against the Toronto Marlies. 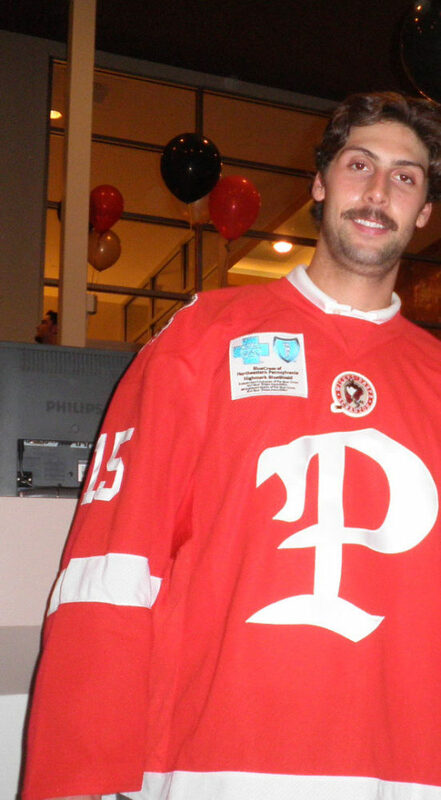 Mormina’s Mustache Mania will be the theme of the evening. 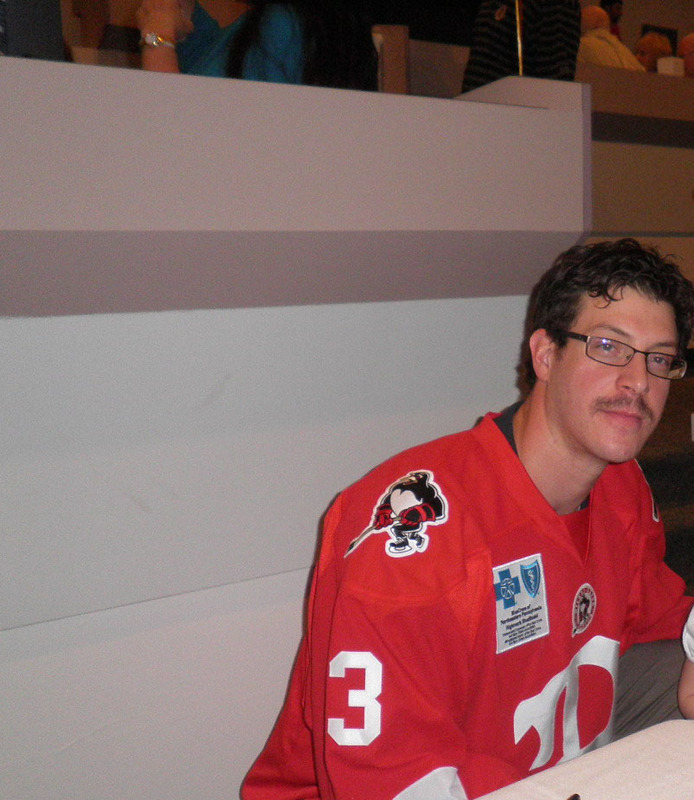 Fans will receive fake mustaches in support of Movember, and the team will also sell autographed mystery pucks with a mustache logo. People ages 30 to 65 who have never had cancer can also sign up to take part in a cancer prevention study (CPS-3) being put together by the American Cancer Society. Any donations the team receives will also help benefit the ACS’ Man-2-Man Program, which offers education for prostate cancer patients and family members. Several of Mormina’s teammates have joined him in this cause. In a recent copy of Breakaway, the Penguins’ game program, photos were published of other players growing mustaches such as forward Zach Sill, defenseman Philip Samulesson (who recently posted his progress on Twitter) and goaltender Jeff Zatkoff. Furthermore, several Penguins fans are also on board with the cause for different reasons. Justin Kreitzer has been doing No Shave November for six years now, but said Mormina had some influence in his decision to participate, adding that he enjoys seeing a player who is a fan favorite act as the face of the cause. He became aware of the meaning of Movember three years ago. Kevin Kwiatek said that Mormina’s influence encouraged him to grow a mustache this month. Martin Karchner said that while this is his second year growing a mustache and Mormina didn’t persuade him to it, he understands that Mormina and his teammates are doing the community a great service. Penguins fan Russell Keeler is a volunteer with the local ACS chapter and says that he always has a full beard, but will shave it for Saturday’s game and keep a mustache. Keeler also said that he noticed that not only are the players growing mustaches, but members of the Pens front office are doing the same and are eager to promote the cause. Another fan, Robin Cornelius, also has personal experience with prostate cancer in her family. Her father went through two bouts with the illness, one was at age 75, and he lived to be 84. Her husband Ed has grown a mustache in November for the past few years ever since he learned that Movember raises awareness for prostate cancer and men’s health issues. She feels that this is a good time to teach her children, eight-year-old son Eddie and three-year-old daughter Kadie, about cancer. Mormina is Kadie’s favorite player, and Cornelius is excited that her daughter is seeing a player she admires participating in such an important cause. 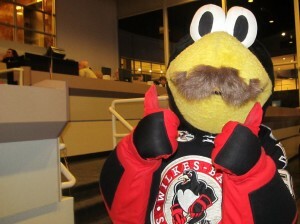 For home games this month, Cornelius has drawn a mustache on Eddie so he too can participate in the cause. Mormina indicated in an interview with The Citizens’ Voice that the Penguins fans’ support has not gone unnoticed. To donate to the Penguins’ Movember efforts, go to the Penguins’ PayPal page or Penguins fan Martin Karchner’s fundraising page.